PHOENIX, Ariz. — Researchers using a DNA analysis tool developed by the Translational Genomics Research Institute (TGen) and UCLA have identified genetic markers that could help treat chronic kidney disease among diabetics. Study results, published in the December edition of Diabetic Medicine, show it is possible to identify biomarkers associated with end-stage renal disease (ESRD) from the pooled DNA of more than 1,000 diabetics. Specifically, TGen researchers identified genes that could potentially contribute to ESRD among those with Type 1 Diabetes. ESRD almost always follows chronic kidney failure and although treatable with dialysis or transplantation, mortality rates remain high. While diabetic kidney disease is one of the most common complications of diabetes, it is currently not possible to determine who is at risk for ESRD. “Identification of specific DNA variants may enhance our understanding of genetic risk factors for renal disease and may provide diagnostic value in determining which patients are at greatest risk of developing ESRD,” said Dr. Johanna DiStefano, Director of TGen’s Diabetes, Cardiovascular & Metabolic Diseases Division and the paper’s senior author. The need to rapidly identify individuals with a predisposition to ESRD and to discover new drugs to prevent and treat this devastating condition is becoming critical, as the average onset of this disease affects ever-younger populations. Although Type 1 diabetes is distinctly different from Type 2 diabetes, the development of kidney disease is similar in individuals with either form. 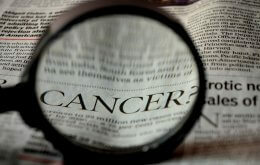 Researchers expect the current findings to impact individuals with both forms of the disease. Nearly 23 percent of Americans diagnosed with ESRD die within the first year. And the annual cost for the nearly 400,000 people who require blood dialysis or kidney transplants is more than $16 billion. TGen researchers tested the pooled genomic DNA from more than 500 cases of those with ESRD and compared that to more than 500 patients who had Type I diabetes for at least 20 years with no sign of ESRD. Scientists performed a whole genome association scan to look for single nucleotide polymorphisms (SNPs), which are the individual letters of DNA that vary among individuals. They sought SNPs that indicate a susceptibility to ESRD. Experiments identified at least eight locations along the nearly 3-billion-base human genome that are ripe for further investigation of their ties to ESRD, according to the paper, Genome-wide SNP genotyping study using pooled DNA to identify candidate markers mediating susceptibility to end-stage renal disease attributed to Type 1 diabetes. The study found at least six markers that may be associated with Type 1 diabetes, a lifelong disease that occurs when the pancreas does not produce enough insulin to properly control blood-sugar levels. There currently is no way to prevent Type 1, which is caused by autoimmune, genetic or environmental factors. The study found two markers that may be associated with Type 2 diabetes, the most common form of diabetes. Type 2 develops when the body fails to produce enough insulin, which helps turn glucose from the sugars and starches we eat into energy. The failure to process glucose starves cells of energy and over time can damage the eyes, nerves, heart or kidneys. Type 2 diabetes can be prevented or treated with proper diet and exercise. Using a similar pooled DNA analysis, TGen researchers, working with collaborators at the University of California Los Angeles, last year developed a way to identify an individual’s DNA from among a mixture of DNA of hundreds or even thousands of individuals. “This technique will increasingly be used in identifying the genetic origins of many Types of disease,’’ predicted Dr. David Craig, Associate Director of TGen’s Neurogenomics Division, who co-developed the technique and was lead author of the current study. Diabetic nephropathy, or kidney disease, is the most common cause of ESRD. It occurs when chronic kidney failure has progressed to the point when either dialysis or kidney transplants are required to prevent blood poisoning. Nearly 24 million Americans, about 8 percent, have diabetes, according to the American Diabetes Association, which lists the disease as the nation’s seventh leading cause of death.